United Way of Anderson County partners with knowledgeable, well-trained volunteers to fulfill our mission. We need the heads, hands, and hearts of committed people like you to help us tackle the problems facing our community. Each one of us has special talents and unique skills to offer. Put your talents to work. When we reach out a hand to one, we influence the condition of all, and help is always needed. Whether it’s reading to children, leading financial literacy classes for hard-working families, or delivering meals to homebound seniors, there are hundreds of volunteer options available every day. This is where the rubber meets the road. Panels of community volunteers visit agencies applying to receive United Way dollars. Panel members review all grant request documents and conduct site visits for 5-6 agencies. Once visits are completed, reports are prepared and given to the panel chairs for final allocation recommendations. Time commitment is typically a 2-hour training and one, 8-hour day for agency site visits. Please contact Naomi Asher for more info about this important role in our annual campaign. Download the Fund Distribution Job Description here. 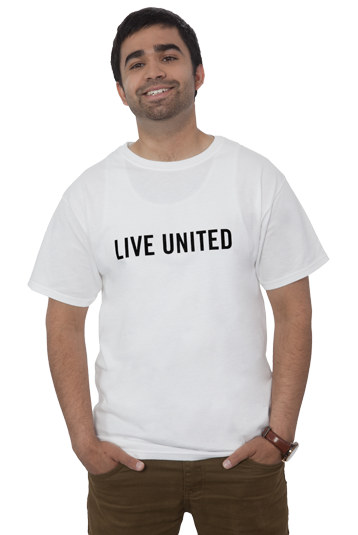 During United Way’s annual campaign, our Loaned Executives serve as liaisons between UWAC and Campaign Coordinators in order to provide valuable assistance in the planning and implementation of their company campaigns. This vital role provides exceptional experience in business planning, project management and an increased network of business contacts. Please contact Naomi Asher for more info about this important role in our annual campaign. Download the Loaned Executive Job Description here.